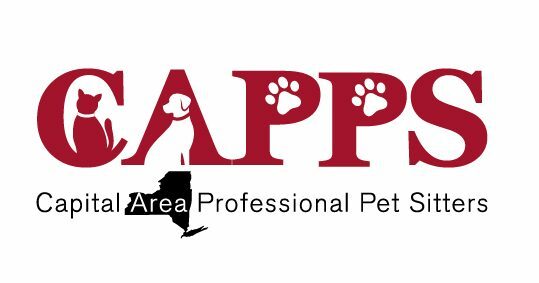 CAPPS is a network of professional pet sitters who provide in-your-home pet care to clients in the Capital Region area of Upstate New York. Our members strive to provide the best possible care for your pets. We treat your pets as if they were one of our own. All members of Capital Area Professional Pet Sitters are insured and have been in business a minimum of 6 months although the majority of our members have many years of experience. To find a pet sitter in your area simply select your county from the "Find a Pet Sitter" menu. We have members covering Albany, Columbia, Rensselaer, Saratoga and Schenectady counties. CAPPS members provide services ranging from vacation pet sitting, daily dog walking, overnight stays in your home, pet taxi and special needs care. Special requests are welcome.